Centrally located on the east side of the Island...Our 21 room boutique hotel offers full ocean views with steps away from white sandy beaches! We feature waterfall swimming pool, a.c., tropical ceiling fans, flat screen t.v.,continental breakfast, maid service,in-room coffee, microwaves,fitness and sauna room. 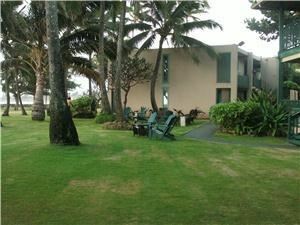 If you are coming to Kauai for a destination wedding we can help you!Introducing new to our hotel, The Beauty Shop! Specializing in manicures and pedicures,bridal hair, make-up, waxing services. Wedding and honeymoon packages available.